Getting Ready for the Best Year Yet! I haven’t written in weeks, but have great excuses. We had Annual Conference which was wonderful under the leadership of Bishop Jonathan Holston. Then the day after it ended I went on a 2 week tent-camping, fishing, and canoeing trip along the New River between North Carolina and Virginia. It was wonderful! There was great camaraderie, superb fishing, rushing rapids, adventurous mishaps, magnificent food, and good reading. Getting back in the saddle as a District Superintendent has been challenging, but I’m ready for this final year as a DS to go well. Oh, yeah, we also made a mad dash down to Florida to check on Narcie’s progress, and we start Cabinet Retreat this Monday with folks connected to Patrick Lencione as we work on what it means to be an Annual Conference team and what are our goals and strategies. Describing a Bishop, DS’, and Conference Staff as a team should go without saying, but we have all probably heard or seen the opposite. I just reread Lencione’s Five Dysfunctions of a Team for the first time in 8 years when it was recommended in Baby DS School, and am now reading his book The Advantage for the first time. Good stuff! Challenging stuff. He doesn’t say the following things, but it’s what comes to my mind as I think about the church’s organizational health. There are two primary questions: “What business are we in?” and “How’s business?” I can answer the first question with the acronym “MD4C” – Making Disciples for Christ. The second question is a lot more nebulous and complex. Some people want to talk about metrics that suggest an outcome-based answer. Others want to describe a healthy church as one that’s relevant, relational, missional, touchy-feely, and friendly. I want both descriptions! Numbers with a personal nuance! And I know that you can’t slogan your way to better health as a church or as a person. Slogans and mission statements are usually so pie-in-the-sky that they don’t really mean much anyway. Writing a mission statement makes everybody feel good before the meeting or retreat is over, but then it’s back to the grind where theory is replaced by harsh reality. And in the church we’re too “nice” to care enough to confront reality and sub-par performance in our peers. So we go along to get along and the result is usually mediocrity. Oh, I like slogans and I like them short enough to be memorized and long enough to be memorable, but slogans are only as good as what we do with them. We can talk a good game about organizational health but sheer talk is mushy rambling without clear action and buy-in as a team. According to Lencione the five stages to organizational health are: trust, conflict, commitment, accountability, and results. Put another way, he says that the five dysfunctions are an absence of trust evidenced by a lack of vulnerability; fear of conflict with its artificial harmony; a lack of commitment with too much ambiguity as its evidence; avoidance of accountability whose evidence is low standards; and, finally, inattention to results whose evidence is seen in self-promotion and ego issues among team members. Let me tell you, Lencione is worth the read! I can say over and over again how I would like our denomination, annual conference, or so-and-so to be better and do such-and-such, but if I never do anything about it or take it to the actionable level, I’m not doing anybody any good. I guess that’s where I am – caught between deciding to make a difference or to just bide my time in this last year as a DS. Do I check out of the process and play the lame duck bureaucrat, or do I fully engage for my own personal growth and that of the United Methodist Church? If you know me, you know the answer. As a person with at least 15 more good years to give to the UMC, I am going to choose to be all-in. If I can give a canoeing trip my best, or support my daughter with my best, or be a rabid Gamecock fan with my best, how dare I, for one second, not give my best to the church that I’ve seen Jesus use more often than not to save souls and save society? So here goes, “I’mmmmmm baaaaack!” I want to do everything I can to get ready for the best year yet! United Methodism is Dying for a Makeover! I’ve got a couple of things whirling around in my brain today. August 15th is my late older brother’s 72nd birthday and tomorrow is the start of a new adventure. My middle brother, Ralph, and I, along with a cousin and a preacher buddy are going camping for 3 nights, 4 days. 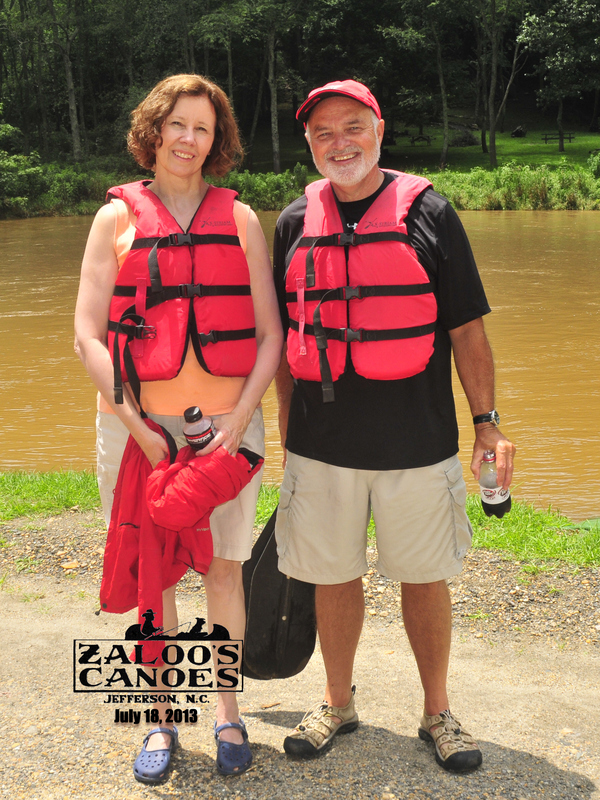 We’re going to canoe the New River that straddles North Carolina and Virginia. Ralph has had open-heart surgery, has a bad foot, and is a diabetic on insulin, plus he’s never been in a canoe and it’s been decades since he went camping. I told his wife to sneak up on us and video our shenanigans and she said, “Oh no! I don’t have to do that. I live with him!” He has been calling me pretty often wondering what to bring, what to wear, what to eat, will I have a tent for him and a sleeping bag. The list goes on. Hey, he just wants to know the lay of the land. Does he need to bring fancy clothes or a poncho? The poncho is a better choice. It doesn’t matter whether you’re in a fancy Manhattan restaurant or camping on the New River. What’s the proper attire or etiquette? Proper etiquette nowadays fluctuates from person to person. There’s hardly a one-size-fits-all standard anymore. With blended families and other concerns, even the seating arrangement at weddings can be a maze of upset-the-fruit-basket. I’ve had some interesting weddings. There was the one when the bride’s veil caught on fire. Instead of snuffing out the candle in her side of the Unity Candle, she blew and her veil went right into the flame. Things went up in smoke, literally, before our very eyes. However, the little glitches that happen at weddings are no big deal really. Weddings are like that, and the couple’s love for one another completely overshadows the snafus. Things happen. Indecorum occurs when people are either intentionally insensitive to others, or they just don’t know the proper etiquette. We do want to do things right, don’t we? I want to know if a party requires casual dress or formal attire. There’s nothing as awkwardly obvious as a minister decked out in formal clerical garb at a casual garden party. It puts a damper on the festivities to be sure, and telegraphs a not-so-subtle assessment of the affair. For the most part, we want to fit in rather than stand out. We applaud those who know the rules, have discriminating taste, and are connoisseurs of acceptable standards of decorum. But what if you don’t know the rules? What do you do when you aren’t sure what to do and the latest edition of Amy Vanderbilt doesn’t cover your decorum dilemma? It makes sense to me to enjoy the party and go with the flow. Sometimes good etiquette has spoiled an otherwise fine time. We can have such discriminating taste that we end up eating alone. What a bad idea. Is it better to be right, or to be included? An even bigger question is whether or not we value being inclusive over discrimination. Wouldn’t you rather have your long-lost friend show up at your party with dungarees and dirt than not be there at all? Maybe they didn’t hear about the party until the last-minute. Maybe they were helping someone in an emergency. Nevertheless, my guess is that you would rather see them than what they were wearing. That’s the nature of friendship. Friendship looks past the outer trimmings and values the friend. Don’t get me wrong. I like rules. I wouldn’t be our Annual Conference’s Parliamentarian if I didn’t. I wouldn’t have taught the United Methodist Book of Discipline to seminary students at Emory if I was an antinomian. However, when worse comes to worse, and shove comes to shove, I say, “Let decorum move over if friendship is at stake.” Put another way, “It’s more important to do the right things than to do things right.” We need to beware dressed down Fridays and dressed up Sundays if we’re not in tune with what’s sensitive to people. Dress codes promote elitism as much as sexism promotes gender inequities, and racism falsely touts the inherent superiority of one group over another. Don’t let a buddy’s tee shirt attire cause you to bump him from the guest list. Jesus ate with all kinds of people and the ones who gave him the worst time weren’t the dressed-down but the dressed-up. Our United Methodist motto is “Open Hearts, Open Minds, and Open Doors!” Some say it’s false advertising. Paragraph 4 of the UM constitution says it’s the real deal. Our Articles of religion and Confession of Faith declare pretty clearly that we all need Jesus so there’s no room for anybody to act holier-than-thou. Let’s open our arms to everyone and practice a Jesus-like reverse discrimination where the last is first, the lost sheep is found, and who cares if you have everything you need on a camping trip. The best part is who you’re with, not the equipment. Keep that in mind and that’s an etiquette that will never go out of style. The United Methodist Church is dying for a makeover. We have got to reach younger people, more diverse people, unchurched people. We better be in tune with who they are, or United Methodism will die as a church while it lives as a club.